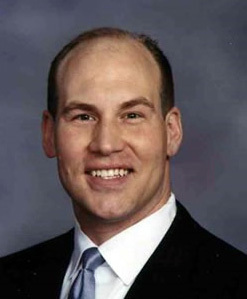 Houston orthopedic surgeon, Dr. Mathew Warnock is board certified as an orthopedic sports medicine specialist. He specializes in knee surgery and shoulder surgery and he is an expert in arthroscopic ACL reconstruction and arthroscopic rotator cuff repair. He cares for athletes of all ages and his expertise is often sought in the treatment of patients with complex shoulder and knee problems. Dr. Warnock’s education includes specialized training in arthroscopic surgery of the shoulder and knee. He completed a shoulder and elbow fellowship at Texas Orthopedic Hospital and his residency training and medical school education were completed at the University of Texas Health Science Center at Houston. He received his Bachelor of Science degree from Brigham Young University.Houston orthopedic surgeon, Dr. Warnock has lived in Texas for most of his life and he graduated from Wichita Falls High School in north Texas. As a young man he served as a missionary for two years in Spain and Portugal and then spent time as a volunteer at the public hospital in Puebla, Mexico. He has lived and traveled abroad and is fluent in Spanish and Portuguese. He enjoys caring for patients of all cultures and backgrounds.Dr. Warnock is the oldest of nine children. He enjoys serving in the community and helping young people. He is a High School team physician and is actively involved in caring for athletes. He also serves in The Boy Scouts of America and he is an Eagle Scout. Dr. Warnock has performed orthopedic research and presented at national orthopedic meetings. He has published scientific articles, written book chapters, and been involved in teaching other orthopedic surgeons. 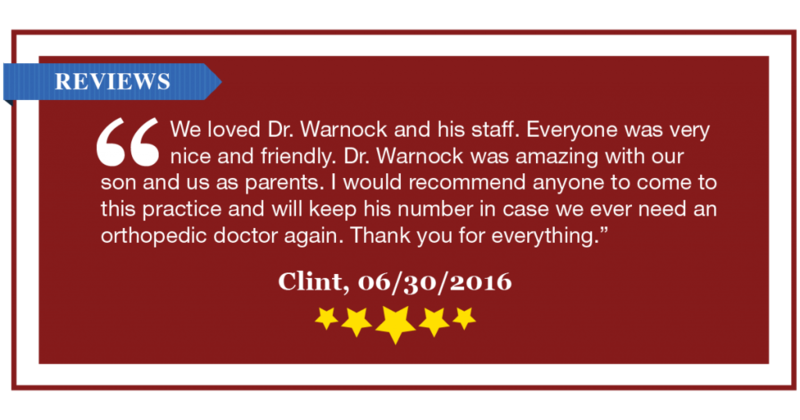 Dr. Warnock is board certified by the American Board of Orthopedic Surgery with a CAQ in Sports Medicine. He is a member of the American Academy of Orthopedic Surgeons and the American Orthopedic Society for Sports Medicine.